I'm turning the big 2-4 at the beginning of next month and what better way to celebrate than to host a full week of giveaways! If you weren't around last year to see how this works, basically I post a giveaway each day for the next 7 days. Each giveaway will run for an entire week and all winners will be announced on my birthday, November 3rd. I'm collaborating with a bunch of amazing shops in order to make this possible, one of those companies is Eva Jo Rompers. If you haven't seen this hip romper company that is taking over Instagram Land I don't know where you have been (; Stephanie, the creator behind this amazing company wanted to create a line of clothing that worked with the entire day. 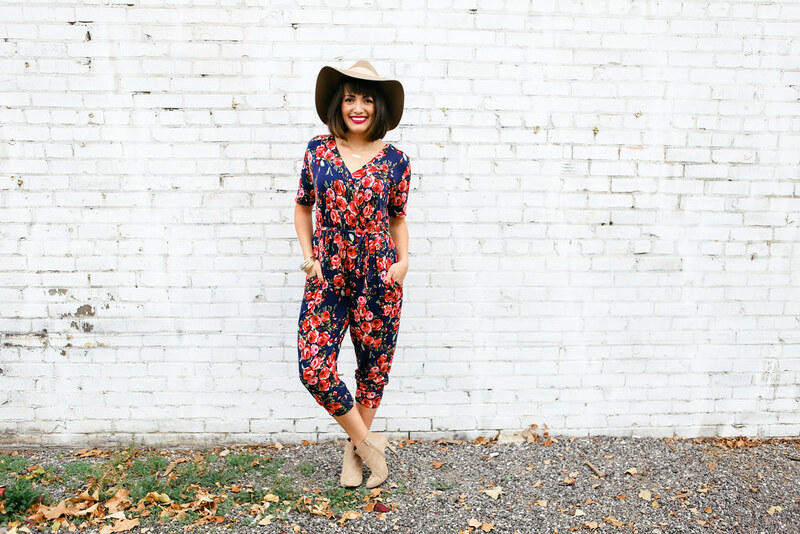 Whether you are running errands, going out with friends, date night, or simply lounging around the house.. these rompers are perfect for ANY occasion. 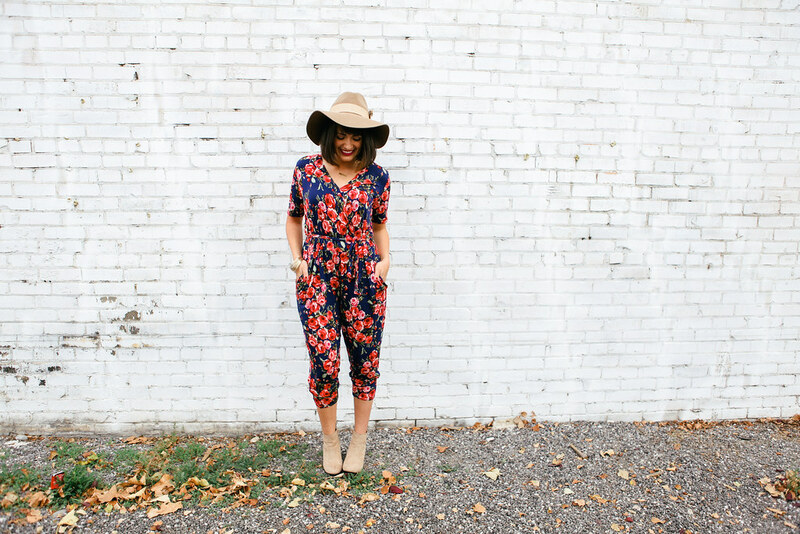 I chose the Sylvie Floral Romper to review.. I'm obviously a floral fanatic and couldn't pass up styling this beauty. Guys this romper is so comfortable and if I had it my way I would have one in every color/favorite patterns so I could live in these. I love that these work with women of all different shapes and sizes AND the Sylvie design is nursing friendly (not that I'm nursing at the moment but still always on the hunt for nursing pieces for the future, lol). 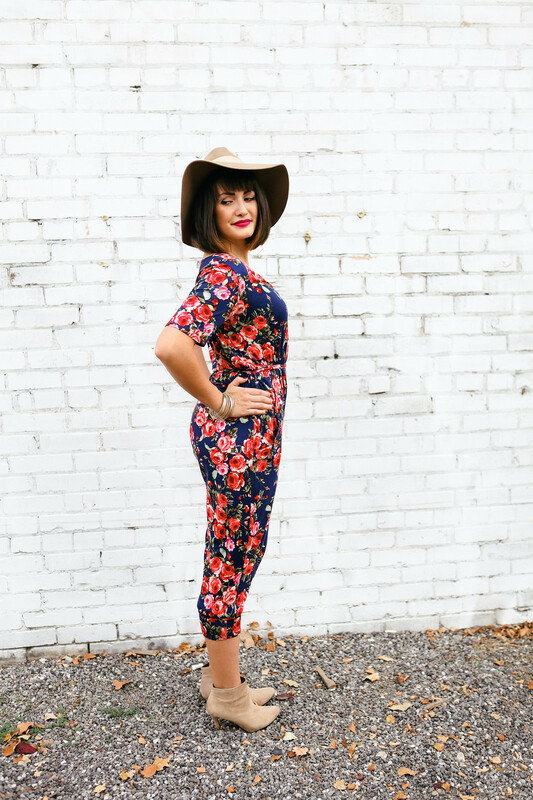 Today is the last day to back Eva Jo Rompers Kickstarter! I have added this special bonus entry option that is only valid until 10/22 at 4:01 AM MDT. 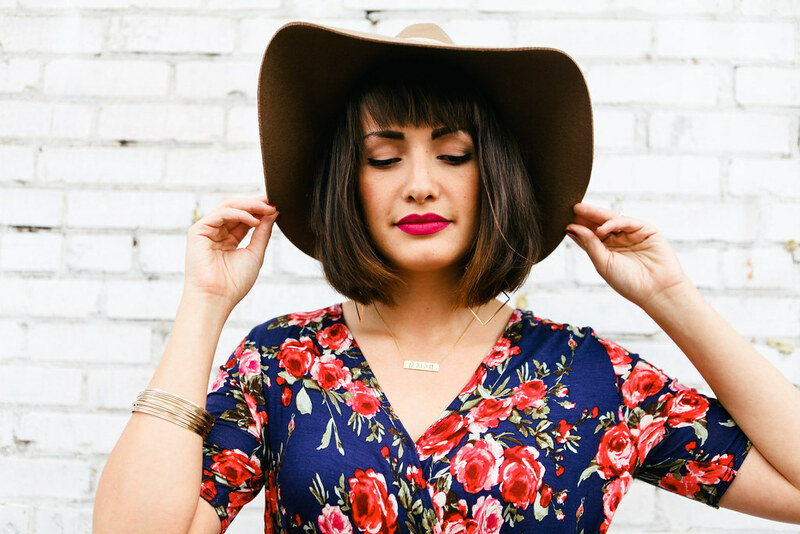 If you pledge any dollar amount towards Eva Jo Rompers you automatically get +5 entries! I also want to remind you that today is also the last day to purchase a romper at special sale price of $65 (usually $85). Please comment below if you do purchase a romper and I will automatically add +10 entries for you. 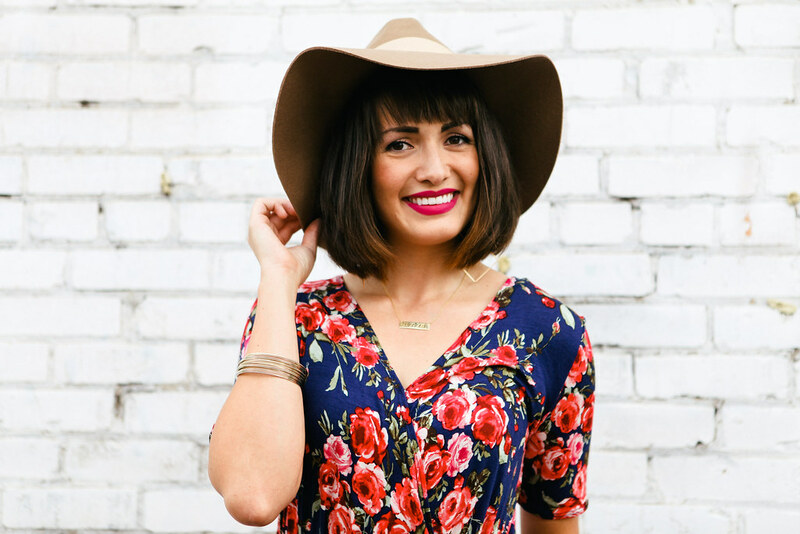 Eva Jo Rompers is giving away a romper of winners choice! 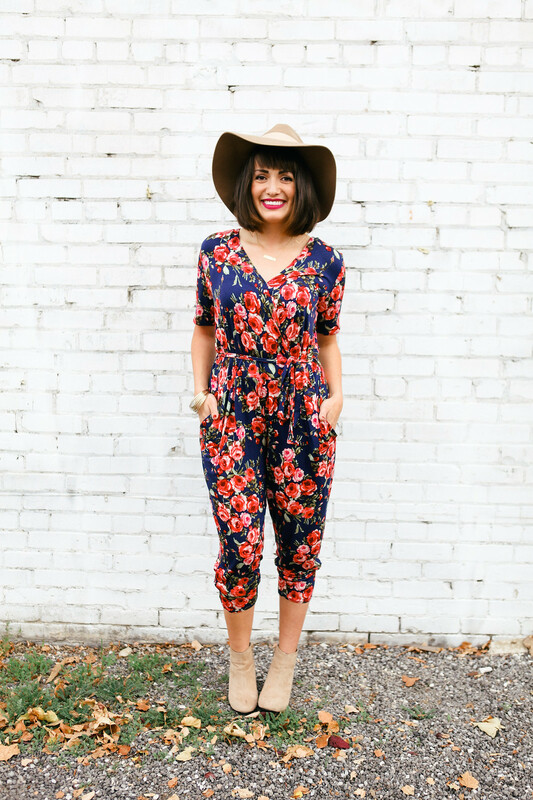 To enter, simply visit Eva Jo Rompers and start browsing for your favorite romper. Remember to fill out the rafflecopter widget below, the more entries you complete the better chance you have of winning. Giveaway is open to ALL DEAREST LOU READERS thru October 28 at 11:59PM EST. If your twitter, facebook, or instagram profile is on P R I V A T E please set your settings to P U B L I C on November 3, 2015 from 12AM EST- 3AM EST since I will be verifying the random winners entries at that time, private profiles will not be eligible of winning. Winners will be announced on my birthday, November 3 and contacted via email shortly after. http://www.evajorompers.com/shop/cosylvie -- same as yours! Umm hi. You're the CUTEST. I can't even tell you how excited I am to be able to wear rompers again when I'm not pregnant anymore! 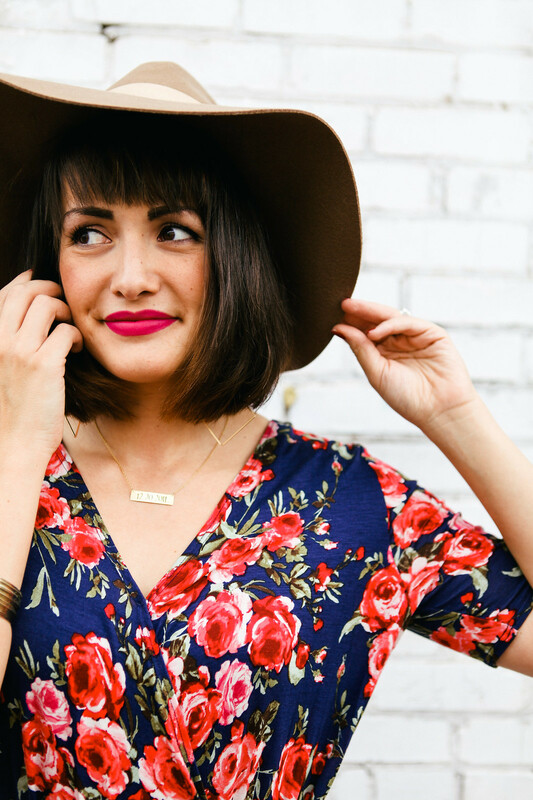 Love love how you styled this one! I love the floral--same as yours! So cute. My favorite is the CeCe Romper, I love Army Green shades. I would choose the black sylvie! And wear it year round :) crossing my fingers! Thanks for hosting! SO cute! I love the floral. I purchased my romper through the Kickstarter! I cannot wait to get it!! Oh my heck! I can't stop thinking about these rompers! They are incredible! I really love the floral and hope they get some other patterns! You are one of the most gorgeous people I've ever seen!! I want your smile!! I have a feeling besides the gorgeous face that smile comes from within, or It wouldn't be so magnetizing!! Ok I'm obsessed with your appearance and I love the romper on you. Now I need to decide if I will get the black one for myself in the next little while. I hope you have a wonderful birthday week and thank you for making us a part of it with your generosity. SO CUTE! I have wanted a romper for so long. 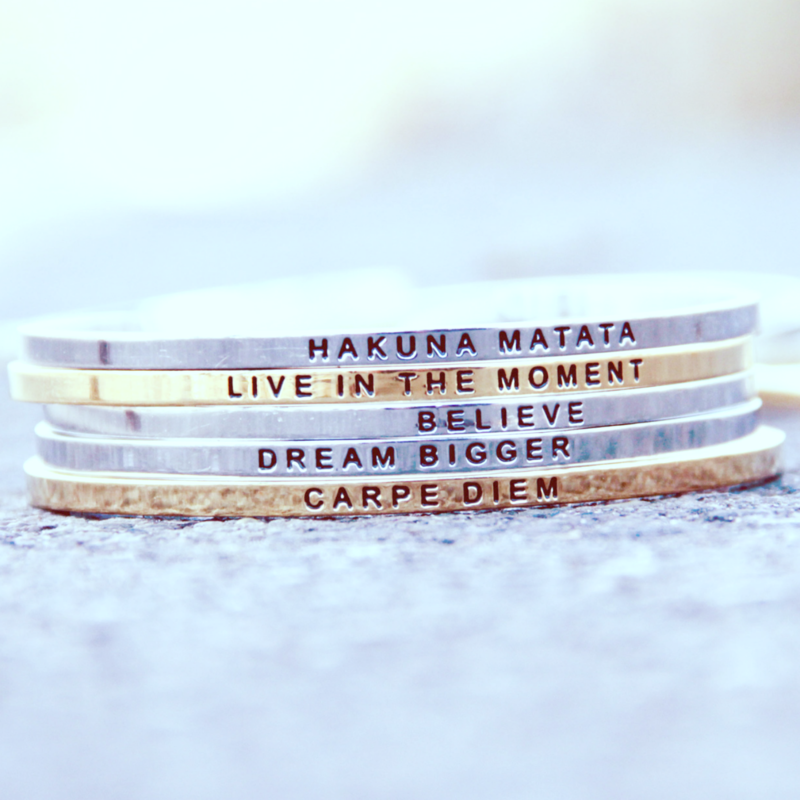 I would honestly probably get the one you have on! You've convinced me! I want the floral romper!!!!!!! I love the CeCe romper in army green from Eva Jo Rompers. I'm in love with the Sylvie Romper that you have on or the CeCe in green!